NURSES AND MIDWIVES will hold a 24-hour strike on Wednesday 30 January, with further days of action planned in February if their issues are not addressed. The Irish Nurses and Midwives Organisation has said going on strike is the “last thing a nurse or midwife wants to do” but they are not paid a competitive wage and often have to work in very difficult circumstances. Here’s a breakdown of how much they get paid. “The crisis in recruitment and retention has made it impossible for us to do our jobs properly. We are not able give patients the care they deserve under these conditions,” INMO general secretary Phil Ní Sheaghdha said. Taoiseach Leo Varadkar said he is “saddened” the strike will take place during the week, rather than at the weekend, as this means thousands of operations and clinic appointments will be cancelled. Psychiatric nurses also plan to strike in February, citing similar concerns. 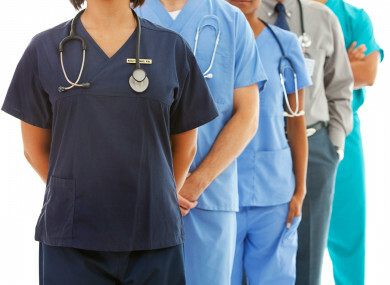 What do you think: Do you support nurses and midwives going on strike? Email “Poll: Do you support nurses and midwives going on strike?”. Feedback on “Poll: Do you support nurses and midwives going on strike?”.